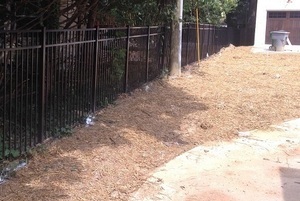 We are your Go-To Fence Installers in the Charlotte, NC Area. At Timber Fencing, we are your go-to fence installers in the Charlotte, North Carolina area. For over three years, we have exceeded the expectations of our customers with our quality materials and exceptional installation work. 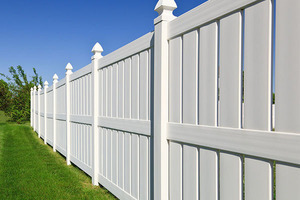 Whether you want to enhance the security, aesthetics, or functionality of your home or business with a new fence, we are the ones for the job, thanks to our commitment to quality workmanship and outstanding customer service. We install many types of fences and fence systems, including aluminum fences, vinyl fences, wood fences, custom fences, automatic driveway gates, and chain link fences. We also build decks, install pavers, perform fence repairs, build custom gates, install steel railings, and much, much more. Just tell us what you need, and we will come up with a plan for your property that aligns with your specifications, budget, and expectations. Know that when you work with us, you’ll receive personalized service that’s hard to find elsewhere. Our small business approach means you’ll work directly with us to ensure your outdoor construction goals are met. We also always pay attention to the details that matter most, so you’ll end up completely satisfied with how your new fence or other project turns out. We are Passionate About Building Fences! Since we are passionate about building fences and other features that our customers will enjoy for years to come, we only use quality materials. However, this doesn’t mean our rates are unaffordable. In fact, you’ll be amazed by how we can complete exceptional projects using quality materials at a competitive price point. We are ready and waiting to make sure your fencing, patio, or deck installation project is completed with precision and to your satisfaction. To schedule a consultation or to find out more about our services, capabilities, or processes, get in touch with us at Timber Fencing today.